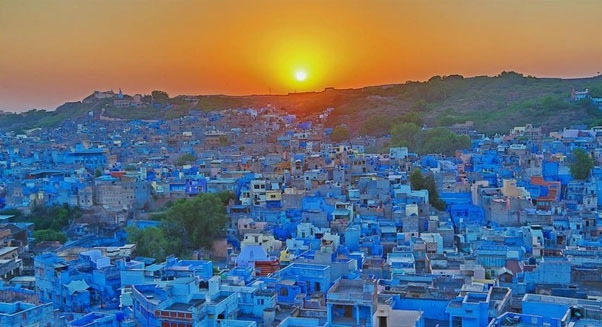 Jodhpur is popularly known as Blue city and Sun city. A popular city Jodhpur is a city formed in the capital of Marwar kingdom. The city is located the nearby Thar Desert. The city is dotted with Palaces, fort, temple are a major tourist attraction. 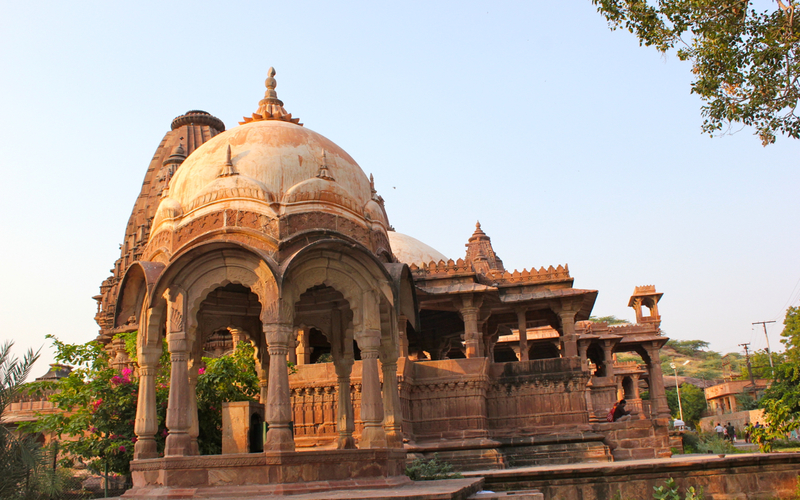 The fine art of architecture in the monuments is a reason of attraction to visit Jodhpur. The city is a blend of ancient and modern architecture. The city is divided into two divisions one is old Jodhpur and the second one is new Jodhpur. 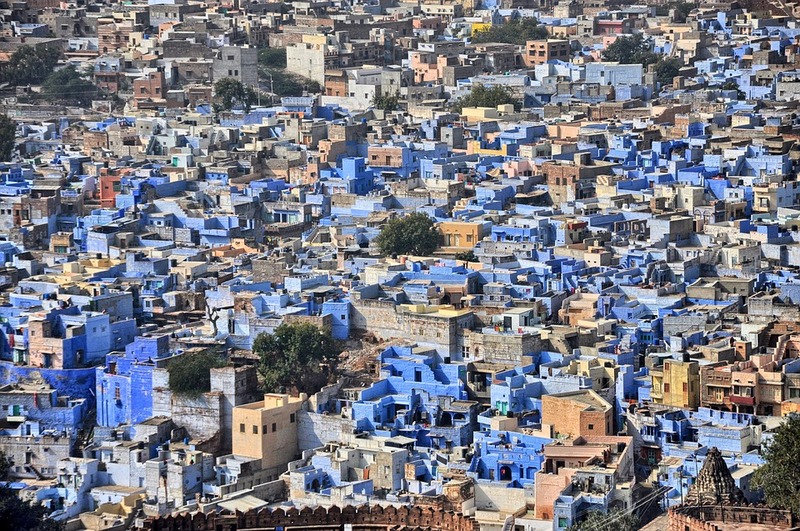 Houses in old jodhpur face blue in color and the area is very congested. 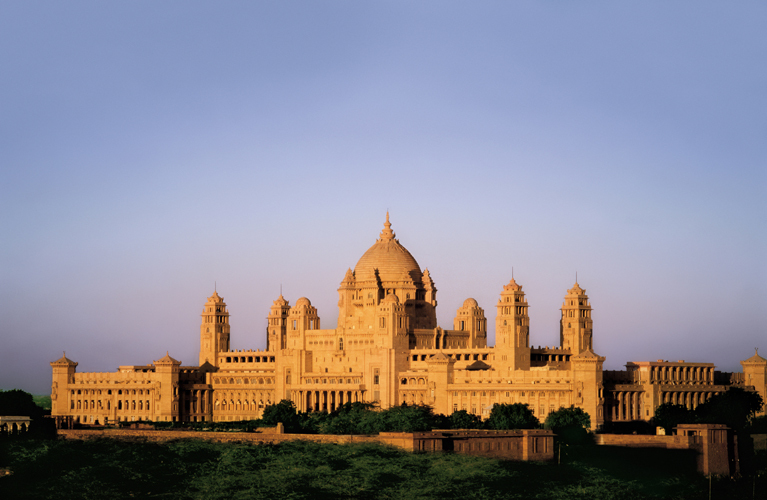 On the other side, new Jodhpur consists of shopping malls, high-end accommodations, amusement parks, cafe, and lounges. The city has beautiful ancient Hindu and Jain temples, and desert area for camel safari. Jodhpur is a place for family vacations, honeymoon tours, history lovers, students, and for that matter solo traveler too. For those who wish to visit the city can best plan their Royal Rajasthan Tour during the fairs and festival of Marwar festival, Jodhpur international kite flying festival and Nagaur fair. These popular celebrations, give a detailed experience to what makes Rajasthan a land of vivacity. The blue color is dedicated to the color of Brahmins. In the last few decades, the blue houses in the city belong to Brahmins. The city is known as a blue city because of the face of every house is of blue color. The city is known as a sun city because it enjoys the bright and sunny weather all of the year. 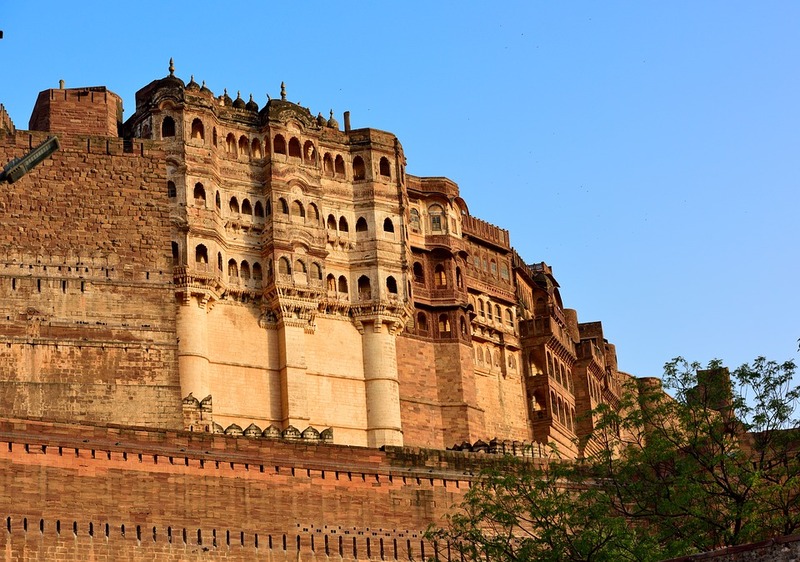 Mehrangarh Fort- Mehrangarh Fort holds the pride of Jodhpur city. A diverse history is associated with the Fort and splendid architecture makes the Fort unique. The fort was built by Rao Jodha in 1459. The fort is spread over an area of 5 km on the hilltop at the outskirts of the Jodhpur City. Every ruler of the Jodhpur city has contributed in making of the Fort. The fort includes Moti Mahal, Sheesh Mahal, Phool Mahal, Takat villas, Zenana dude, Jhanki Mahal. There are temples located inside the fort- Chamundi Devi Mandir, Nagnechiaji Mandir dedicated to Goddess Durga and the Kuldevi respectively. The palace was made between 1928 and 1943 under the reign of Maharaja Umaid Singh. Umaid Bhavan Palace is the largest private residence in the world which includes 372 rooms, wood-paneled library, private museum, indoor swimming pool, billiards room, tennis courts, and unique marble squash courts. The palace was built to satisfy the purpose of employing the farmers of Jodhpur. The major attractions of Umaid Bhawan include a collection of vintage cars, clocks, and banners gifted by Queen Victoria. The monument is constructed a white marble is a memorial site of the Rajput clan. 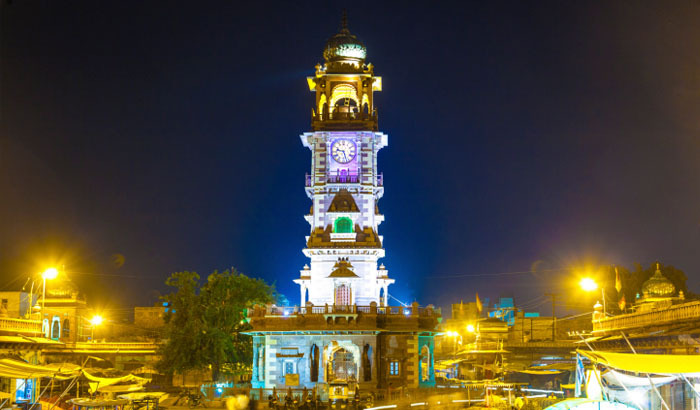 This architectural monument was built in the 19th century by Maharaja Sardar Singh in the memory of his father Maharaja Jaswant Singh II the 33rd Rathore ruler of Jodhpur. This monument is a memorial site. 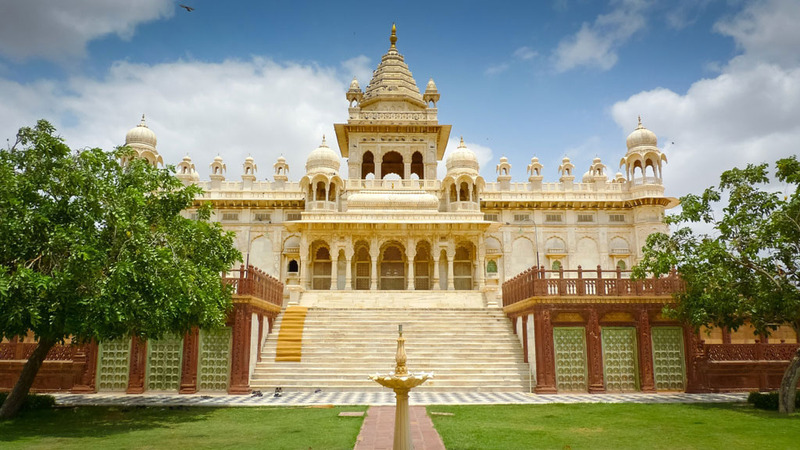 Jaswant Thada is a perfect example of architectural brilliance. The architecture is made of white marble which is so finely covered in the outer surface of the whole building which shines during the sunlight. Among the famous tourist attraction Clocktower is the one for tourists. The clock tower is a popular landmark in the old city. The clock tower is a top market for tourists for fulfilling their shopping purpose. The speciality of Jodhpur is its Handicraft, its palaces, forts, and memorial site. Your Rajasthan Trip is incomplete without treating yourself with the delicious Rajasthani Cuisine which is served widely in the Jodhpur city. Another handicraft famous in Jodhpur is subbed stone earpiece, footwear(juttis), Mathniya red chili, puppets, colorful turbans, dye fabrics (bandhej and badhani fabrics) and many more. Royal Routes India is the prominent and authorized (recognized from Tourism Dept. Govt. of Rajasthan) travelling service provider in Rajasthan serving from past many years with a large number of well-satisfied customers across the globe. We have specialized in providing touch of a class luxury travelling service where one can feel and experience the richness of taste of culture of India and its heritage life. 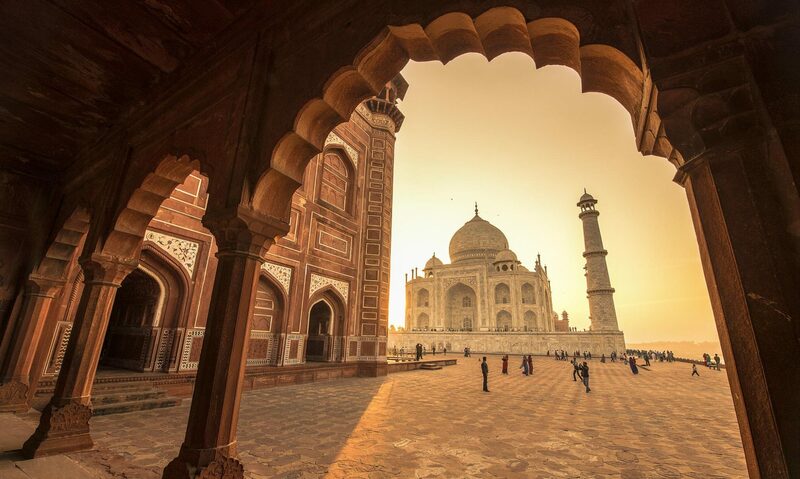 At Royal Routes India we are actively providing various tour plans that majorly include Golden Triangle Tour, Special Interest Tour, Village Tour of Rajasthan, Gujrat Tour, South India Tour and many other customized tour plans depending upon your tour requirement, area of interest and group size.